With the release of his latest effort Call the Comet, Johnny Marr solidifies himself as one of the strongest solo artists in music today. However, no one seems to know this as he is forever in the shadow of his former bandmate Morrissey, who manages to cover-up substandard songwriting with endless media-grabbing pull-quotes and tour cancellations. 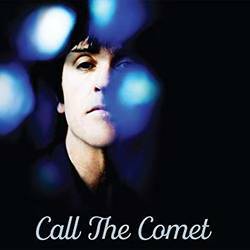 Call the Comet is Johnny Marr’s third album and it continues to show who the real talent in The Smiths was all along. As with his previous albums, there’s a underlying melancholy and a sort of wistful longing simmering just beneath the shimmer of those guitars. When Marr sings “Everybody feels the aching” you know exactly what he means. Tracks like “Actor Attractor,” “The Tracers,” and “New Dominions” all serve Marr’s narrative well. There’s a disconnect to be found in this world that people would notice and acknowledge if they would just look up from their screens long enough. But thankfully with music being the great equalizer, when we finally do wake from our slumber, it’s good to know that someone out there feels that same weariness too. Posted Nov. 19, 2018, 9:03 p.m.